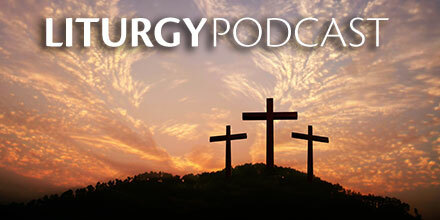 Inspired by Pope Francis' Laudato Si' encyclical, these songs for liturgy and prayer from well-known OCP composers speak to themes of care for creation, poverty and solidarity. 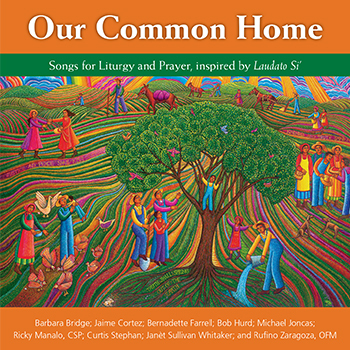 Songs for Liturgy and Prayer, inspired by "Laudato Si'"
The Our Common Home CD features music by Barbara Bridge; Jaime Cortez; Bernadette Farrell; Bob Hurd; Michael Joncas; Ricky Manalo, CSP; Curtis Stephan; Janèt Sullivan Whitaker and Rufino Zaragoza, OFM. 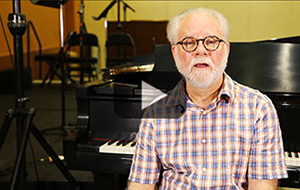 The musical styles are, understandably, as diverse as the composers themselves, with everything from Taizé and rock to contemporary, Irish folk and choral. The Our Common Home MP3 album features music by Barbara Bridge; Jaime Cortez; Bernadette Farrell; Bob Hurd; Michael Joncas; Ricky Manalo, CSP; Curtis Stephan; Janèt Sullivan Whitaker and Rufino Zaragoza, OFM. 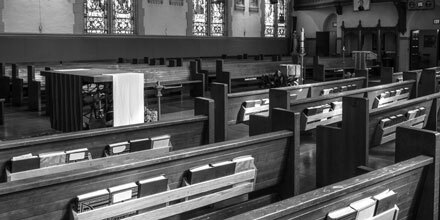 The musical styles are, understandably, as diverse as the composers themselves, with everything from Taizé and rock to contemporary, Irish folk and choral. "Creation can only be understood as a gift from the outstretched hand of the Father"
We, as human beings, have a common home here on this planet. As Christians, we are called to be responsible stewards of creation, united by a common concern for our planet and every living thing that dwells on it, especially the poorest and most vulnerable. Bringing together songs intended to highlight the importance of the destiny of creation, OCP is proud to present Our Common Home. This collection is the brainchild of Bob Hurd who turned up rather empty-handed in his search for music that dealt with our responsibility to be good stewards of creation. 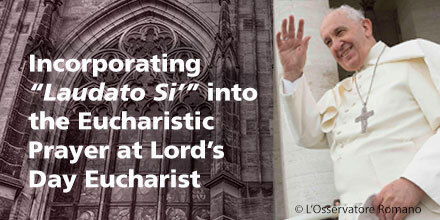 After writing "Every Creature Is Sister and Brother," a song highlighting the connection between the Eucharist and environmental concerns, he decided to invite several composers to join him in writing songs based on Pope Francis' encyclical Laudato Si': On Care for Our Common Home. And thus was born Our Common Home, featuring music by Barbara Bridge, Jaime Cortez, Michael Joncas, Ricky Manalo, CSP, Curtis Stephan, Janèt Sullivan Whitaker and Rufino Zaragoza, OFM, along with two of Bob's own compositions. 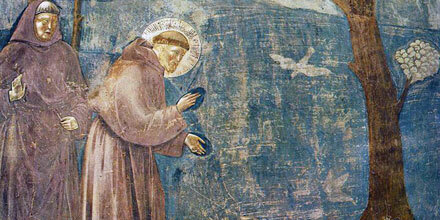 The musical styles that emerged are, understandably, as diverse as the composers themselves, with everything from Taizé and rock to contemporary, Irish folk and choral. 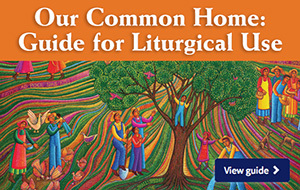 Significant and timely, Our Common Home provides pastoral musicians, choirs and ensembles alike with liturgical music based on the themes of Laudato Si' that they can play and sing throughout the year. In turn, these songs will help assemblies to hear and respond to both the cry of the earth and the cry of the poor, reminding us all of the importance to care for the environment and one another each time we sing them.